I have created this sample circle diagram interaction, and I'm trying to determine if it is possible to modify the font on the layer segments, not just the text boxes? If this is not possible in the editor itself, does anyone know what script needs to be modified within the published files? See sample attached. I want to adjust the terms (Recruiting, Onboarding, Development, etc.) on the segments to make them larger, a different color, or both. 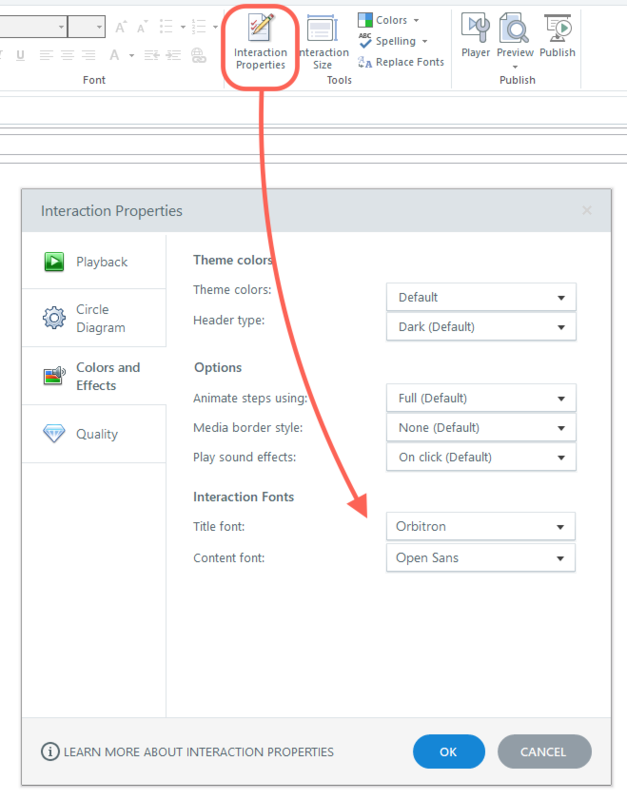 You can change the font of the segment titles in Interaction Properties. Thanks Alyssa! I am able to make the font bigger and bolder here, but there does not seem to be a way to change the segment colors (so they are different). Perhaps a future update? You are correct. The theme colors would be consistent across your interaction. You are welcome to share that idea with our team here. Sounds like it would be a cool feature to have.